In my previous post as I explained that how to register PNB mobile banking service online. 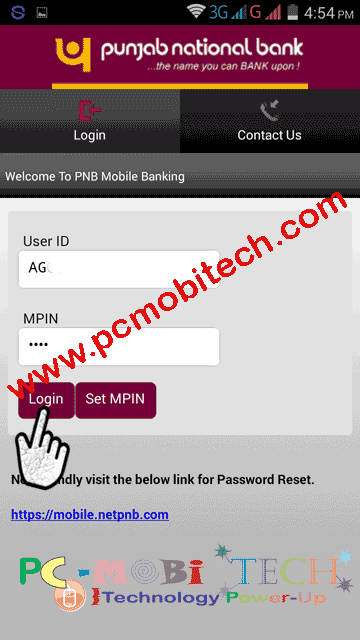 In this post, I’ll tell you how to activate PNB mobile banking app. As we know that Punjab National Bank is the most popular bank in India. In terms of assets, It is the third largest bank in India and 248th in the world. PNB provides great features & security in Online internet banking, mobile banking, SMS banking & mobile app banking. Their banking support is also good. PNB also offer the mBanking android app with which you can do easily- check balance, transaction, money transfer worldwide, bill payments & many more. If you already registered mobile banking service on your User ID then you can easily activate mobile banking app. if not, then first register mobile banking service. How to register for mobile banking facility? 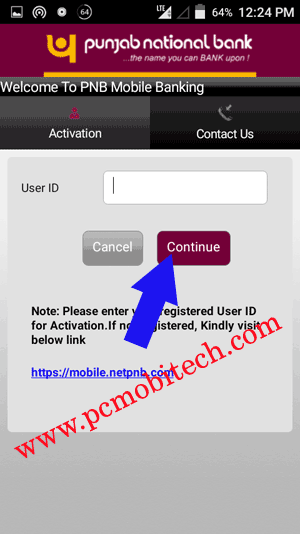 How to activate PNB Mobile Banking app (Android)? 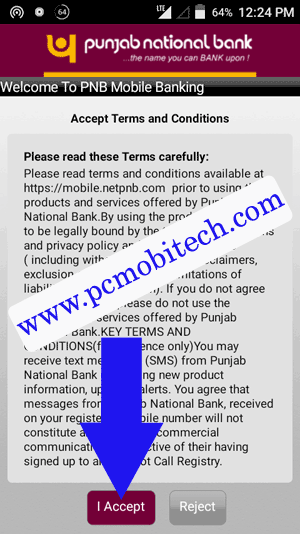 Read this post for more detail- Full registration process PNB mobile banking online. Open PNB Mbanking app on your android smartphone. When you open mobile banking application first time in your android smartphone, you must agree with the terms and conditions. tap on the I Accept button to verify. On next screen Enter your User ID in the box & tap on Continue button. Now you will receive an OTP (One time Password) SMS into your registered mobile number, Which includes a 6 digits code. Enter this OTP In SMS OTP box & then tap on Activate button. 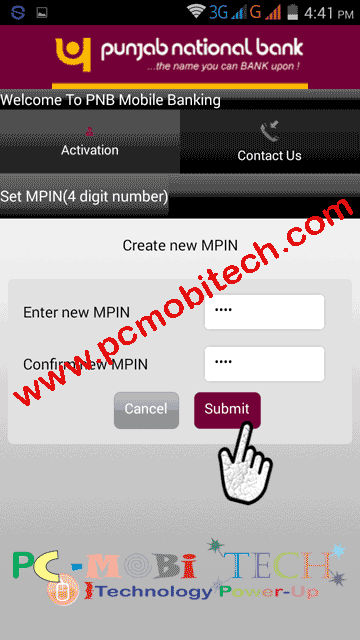 On next screen Create a new MPIN code for your PNB mobile banking application. This code, you will use as a password because whenever you log in with your USER ID and you’ll also have to enter the mobile PIN. You can create a 4 digit PIN. After creating enter this code again in Confirm New MPIN box & then tap on Submit button. Now your Punjab National Bank (PNB) mobile banking app has been successfully activated. On the main screen. Enter the User ID in the first box and in the second box, enter MPIN that you created previously. tap on the Login button. 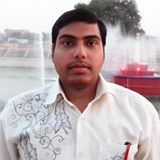 Any problem & suggestion please leave a message in the comment box.